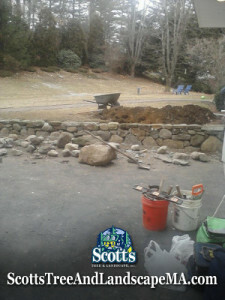 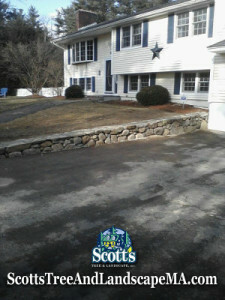 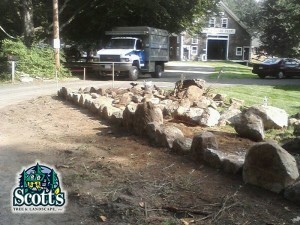 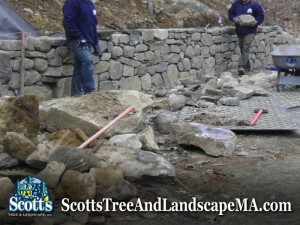 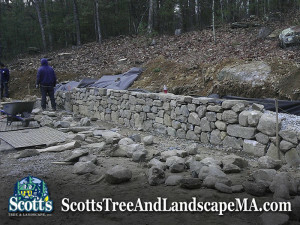 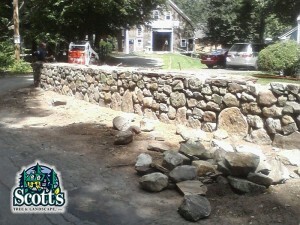 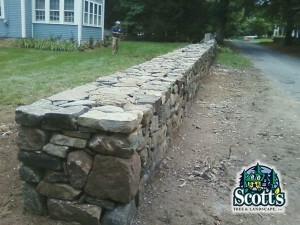 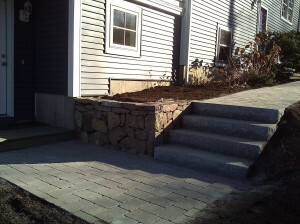 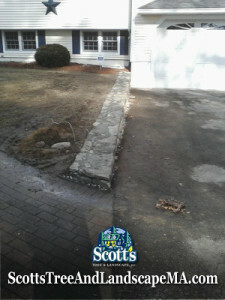 Scott's Tree & Landscape constructed an amazing stone wall in Bedford, MA. 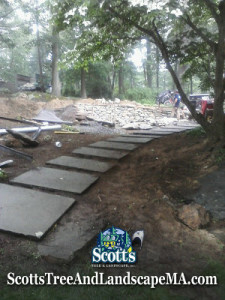 For any and all of yoou hardscape and landscape design services contact us today! 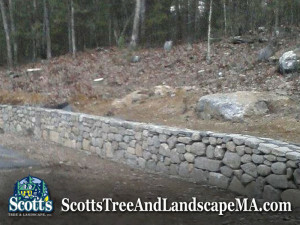 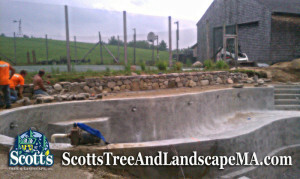 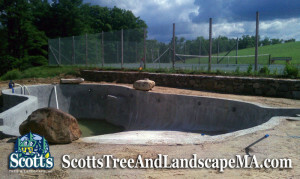 Scott's Tree & Landscape, Inc retaining wall construction in Jaffery, New Hampshire. 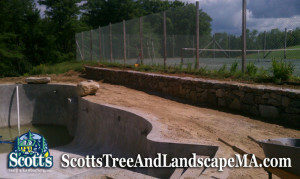 We specialize in poolscapes in the Metro West Massachusetts and Southern New Hampshire. 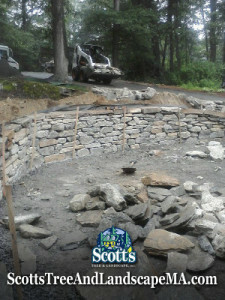 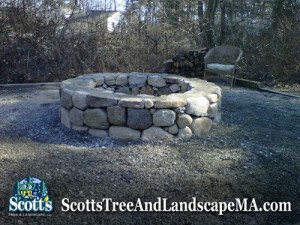 Fire pit and fieldstone wall construction by Carlisle Rd in Westford, MA by Scott's Tree & Landscape, Inc. 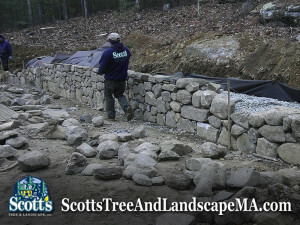 Constructed a 75 foot fieldstone wall and landscape construction in Carlisle, Massachusetts on Applegrove by Scott's Tree & Landscape, Inc.
Scott's Tree & Landscape, Inc built a fieldstone retaining wall, granite steps, with a brick paver patio and walkway in Billerica, Massachusetts. 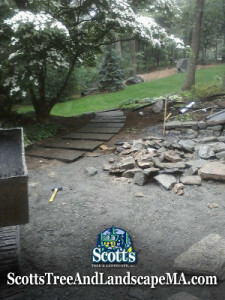 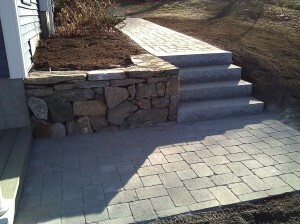 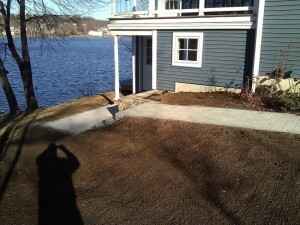 New slab walkway, fieldstone retaining wall, patio installed in Bedford, MA by Scott's Tree & Landscape, Inc.